The Neolithic Flint Mines of Spiennes occupy two chalk plateaux located to the south-east of the city of Mons. They cover an area essentially devoted to agriculture. The site appears on the surface as a large area of meadows and fields strewn with millions of scraps of worked flint. Underground, the site is an immense network of galleries linked to the surface by vertical shafts dug by Neolithic populations. The Neolithic Flint Mines of Spiennes are the largest and earliest concentration of ancient mines of north-west Europe. The mines were in operation for many centuries and the remains vividly illustrate the development and adaptation of mining techniques employed by prehistoric populations in order to exploit large deposits of a material that was essential for the production of tools and cultural evolution generally. They are also remarkable by the diversity of technical mining solutions implemented and by the fact that they are directly linked to a habitat contemporary to them. In the Neolithic period, (from the last third of the 5th millennium until the first half of the 3rd millennium), the site was the centre of intensive flint mining present underground. Different techniques were used, the most spectacular and characteristic of which was the digging out of shafts of 0.8 to 1.20m in diameter with a depth down to 16 metres. Neolithic populations could thus pass below levels made up of large blocks of flint (up to 2m in length) that they extracted using a particular technique called ‘striking’ (freeing from below with support of a central chalk wall, shoring up of the block, removal of the wall, removal of the props and lowering of the block). The density of the shafts is important, as many as 5,000 in the zone called Petit Spiennes (14 ha), leading to criss-crossing of pits and shafts in some sectors. Stone-working workshops were associated with these mining shafts as is witnessed by numerous fragments of flint still present on the surface and which give its name to a part of the site, Camp à Cayaux (Stone Field). Essentially the production aimed at the manufacture of axes to fell trees and long blades to be transformed into tools. The standardisation of the production bears witness to the highly skilled craftsmanship of the stone-cutters of the flint of Spiennes. The vestiges of a fortified camp have also been discovered at the site comprising two irregular concentric pits at a distance of 5 to 10m. The archaeological artefacts discovered are characteristic of the Michelsberg culture discovered in the mining sector. Criterion (i): The Neolithic Flint Mines at Spiennes provide exceptional testimony to early human inventiveness and application. Criterion (iii): The arrival of the Neolithic cultures marked a major milestone in human cultural and technological development, which is vividly illustrated by the vast complex of ancient flint mines at Spiennes. Criterion (iv): The flint mines at Spiennes are outstanding examples of the Neolithic mining of flint, which marked a seminal stage of human technological and cultural progress. Since the end of the Metal Ages, the site has not known any significant occupation. Ancient maps show it as agricultural land, lying fallow in the areas where an abundance of flint made it unsuitable for crops. In the 18th century, the armies of Louis XIV dug out a pit of 3m in depth accompanied by an earthen wall. In the 19th century flint was once again exploited, mainly on the surface for the manufacture of gun flints. The earthenware manufacturers also initiated production in certain parts of the site but in very limited areas (less than 100m2). The digging of a railway line in 1867 cut through 25 mining shafts and is the origin of the discovery of the site. In the 20th century the laying of a gas pipe caused an alteration to the upper part of the shafts over an area of about 1800 m2. However, these few alterations have not altered the quality of the site that retains a high level of integrity. The Neolithic Flint Mines of Spiennes are fully authentic. Many of them have not yet been excavated and those that are open to the public have remained in their original state, with the exception of a few modern installations for comfort and security. The mines of Spiennes were listed by the Ministerial decree of 7 November 1991 that protects both the ensemble as a site and the mining structures as monuments. Moreover, the site also figures on the List of Outstanding Heritage of Wallonia, the highest level of protection foreseen in the Walloon legislation. Various other legal and regulations provisions cover the protection of the mining site, including the plan of the Mons-Borinage sector that concerns the zone listed for agricultural activities, the communal plan for development and nature of the City of Mons and legislation for the protection of draining catchment areas. With regard to archaeology, limited excavations are executed by the competent service of the Heritage Department. The objective is both to become familiar with the site and to manage it as an archaeological reserve. The presence of archaeologists constitutes a surveillance in itself. 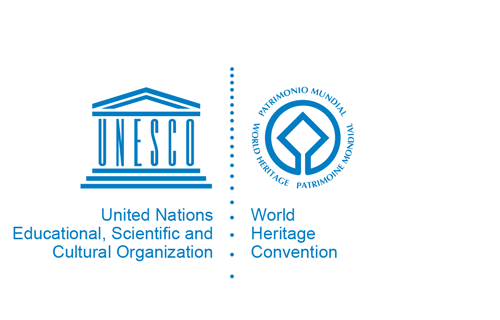 Following the decision of the Walloon Government of 25 August 2011 to provide the Walloon sites inscribed on the World Heritage List with a management plan, a Steering Committee, a Scientific Committee and a Management Committee were established. The descent into the mines has for a long time been occasional, and the guided tours the responsibility of a local association. To encourage a better knowledge of the site it has been decided to create an interpretation centre. The location has been selected so as to limit as far as possible threats to the site whilst enabling the visitor to share the archaeological experience and the mining conditions of the Neolithic period. The materials and the size will favour integration of the building into the landscape and respect the site itself. The interpretation centre will complete the activities of the scientific base present at Camp à Cayaux since the mid-20th century.